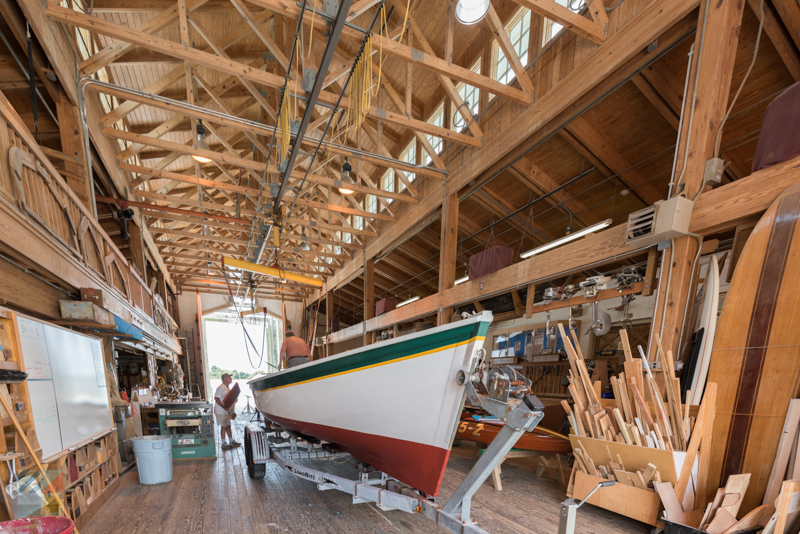 As a result of this rich culture, uncovering the local history is sure to be a favorite pursuit for new explorers and longtime visitors alike who decide to devote a little of their vacation time to delving deeper into Beaufort’s remarkable roots. Take a walking tour, pay a visit to one of the countless historic sites, or just pause to read one of the many historical markers that are dotted throughout the landscape, and discover all the fascinating stories that Beaufort has to share when you explore, linger and look. Beaufort may have begun as a small fishing and whaling community on the edge of the calm sound waters and open Atlantic Ocean, but it soon blossomed to become one of the richest communities in the “new” state of North Carolina. The town was originally organized in 1709 by four new residents - Farnival Greene, Robert Turner, Richard Rustull, and Nathan Taylor – with the assistance of the governing Lords Proprietors in England. The original aim was to produce a small fishing community, as the area had been occupied since the late 1600s and was known as “Fishtowne” or “Fish Town” due to its population’s main occupation and industry. The original town layout, which is known officially as the “Plan of Beaufort Towne,” was established in 1713, and still survives today in a 12-block area that has a place of honor on the National Register of Historic Places. This layout centered on the local residences, businesses and other infrastructure along Front Street, allowing life by the water to continually thrive. It may have been the founder’s original goal to keep Beaufort the small fishing village it originated as, but the town soon began to blossom, and garnered an official port status in 1722. Not long after this designation, the town began to flourish as it began to import and export goods, including lumber and shipping products, and attract mariners and privateers from all over the world. Not all of the new worldly travelers who landed in Beaufort were desirable ones, however, and as Beaufort’s reputation as a successful port town grew, so did the influx of famed pirates, including Blackbeard the Pirate, Calico Jack, and Anne Bonney – one of the country’s first female priates. Blackbeard, who loved to patrol the waters near Beaufort and Ocracoke Island, and who had a home in the neighboring town of Bath, was a particularly prevalent unwanted visitor, and the region began a massive effort to put a stop to piracy along the coastline. 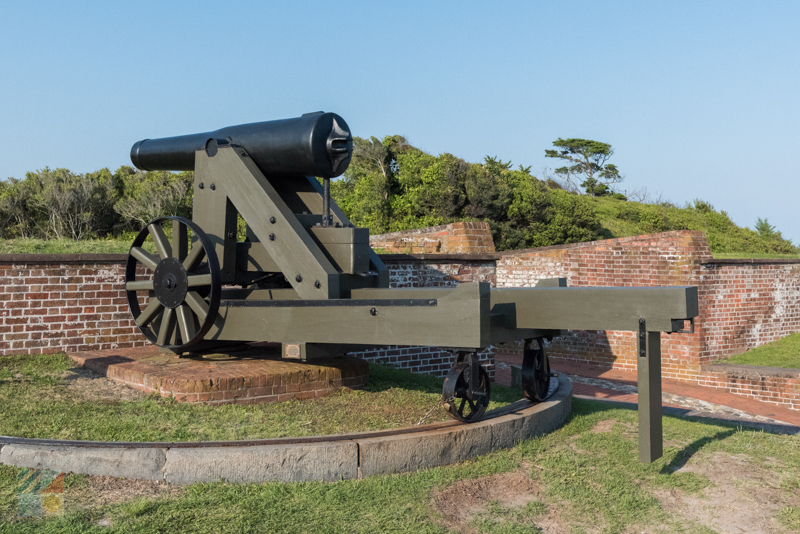 In fact, the now-iconic Fort Macon on the eastern edge of Atlantic Beach, was first built in order to protect the region from pirates and as a response to foreign invasions or wars like the Revolutionary War and the War of 1812. Beaufort had a small but significant role in both the Revolutionary War and the War of 1812, and the town even produced a few heroes in these conflicts, including the legendary local Capt. Otway Burns. A North Carolina State Senator and American Privateer, Burns attacked and effectively defeated a number of British vessels during the war of 1812, and commandeered expeditions that extended from coastal Carolina all the way to the US Virgin Islands. Deemed a hero after the war, Capt. Otway Burns was eventually buried at the “Old Burying Ground,” which were established in 1731, and a neighboring town – Otway – was also named after him. Both wars left Beaufort relatively intact, and the town continued to grow after both conflicts, but the Beaufort community’s seemingly unending prosperity would eventually hit a setback with the onset of the Civil War. In April 1862, Beaufort was invaded by Union forces who quickly gained control of the town and set up a headquarters in the heart of the community. Occupied by Union forces for the majority of the war, Beaufort suffered few losses or damage to the town’s buildings and residences, but it did also halt the transport of goods for a few years while the war years raged on. However, once the war ended, Beaufort surprisingly bounced back quickly thanks to its backbone economy of lumber, fishing, whaling, and naval businesses and / or stores. Though Beaufort had always been a busy port town, it never quite reached gigantic proportions throughout the ensuing decades, like other Carolina towns such as Wilmington or Charleston. The reason for this was simply because despite the fact that Beaufort was easy to reach for mariners, and was very well-established, it was a little too far away from major interior cities and settlements, and as such, the town remained somewhat small but productive for generations. Eventually, and after more than 250 years of relying on a steady industry of trade and fishing, summertime visitors began to discover Beaufort as a charming summertime retreat, due to both its location and its inherent prosperity and southern hospitality. Many of the homes that were built in the 1700s and 1800s still stood in Beaufort – a rarity considering that other southern towns were ravaged during the Civil War – and the town retained its small town feel that drew early settlers in the 1600s and 1700s. Despite this new interest from visitors, Beaufort still remained relatively unknown except for by North Carolinians and travelers in-the-know for the majority of the latter half of the 2th Century, but this all changed when Blackbeard the Pirate once again made national headlines in the area. In 1997, Blackbeard’s favorite and more infamous vessel – the Queen Anne’s Revenge – was finally discovered after nearly three centuries just a couple miles away from Beaufort, and in roughly 20’ ft. of water. This incredible discovery lead to the recovery of many Blackbeard artifacts – relics that would later be displayed in the town’s NC Maritime Museum – as well as a newfound interest by national media outlets and magazines in this relatively hidden gem community along the coastline. In the late 2010s, Beaufort was officially named “America’s Coolest Small Town” by Budget Travel Magazine, and was also heralded by other travel publications / news outlets including Coastal Living Magazine and CNN. By this point, the once hopping port town was now a hopping vacation destination, but it nevertheless retained its small town charm, (as evident by its many awards), and its love of fishing. One of the East Coast’s biggest and most profitable fishing tournaments – the Big Rock Blue Marlin Tournament – is celebrated in Beaufort every year, and dozens of charter fishing companies and / or water tours are still based along the Front Street docks. With few changes since the plotted town of Beaufort was imagined in the early 1700s, this former Fish Town continues to surprise and impress travelers and explorers from all over the world. Known for pirates, war heroes, and a backbone love of fishing and the water, Beaufort has continually stayed true to its fascinating roots. It’s not too hard to come face-to-face with history in Beaufort, NC, and visitors who want to explore the local roots in detail can take a walk, drive, or water taxi to these essential sites that hold a place of honor in Beaufort’s rich legacy. The Beaufort Historic Site, which is managed by the Beaufort Historical Association, is a collection of nine historic residences and buildings that are congregated in one downtown location. At this site where walking from one historic residence to the next is a breeze, the individual buildings are filled with period antiques and are manned by costumed interpreters who help fill in the gaps, and who explain the significance of the individual structures in detail. Treasured properties within the Beaufort Historic Site include the Carteret County Courthouse, which was built in 1796 and is the oldest wood-framed courthouse in the state, the Old Jail, which originated in 1829 and was used until 1959, and an original mid-19th century doctor’s office and apothecary shop that was built in 1859. Guided tours of the suite of homes and buildings are regularly available, as well as special holiday or seasonal tours, and special community-wide tours onboard an English double decker bus, circa 1967. The Beaufort Historic Site is also home to the Mattie Davis King Art Gallery – the oldest art gallery in the state – as well as a Visitors Center where a wealth of info on the secretive historic sites throughout town can be found. Visitors who want to soak of the history of Beaufort need only to take a stroll around town. The original 12-block area that was outlined by Beaufort’s founders in the early 1700s is still perfectly intact, and it’s in this region that vacationers can explore the nearly 20 homes and structures that comprise the Beaufort Historic District. Added to the National Register of Historic Places in 2003, and situated in the heart of the downtown region, these residences and buildings serve as prime examples of authentic Queen Anne, Greek Revival, and Gothic Revival style architecture from the 18th and 19th centuries. Guided walking or bike tours are available from a number of local private companies, as well as regional organizations like the Beaufort Historical Association. The Old Burying Ground is one of the oldest cemeteries in the state, and was established in the early 1700s by the residents of the newly founded “Beaufort.” The ancient cemetery features roughly 200 gravesites from the pre-Civil War era, which includes notable residents like NC Privateer Capt. Captain Otway Burns and the crew members of the famed shipwreck, the Crissie Wright. 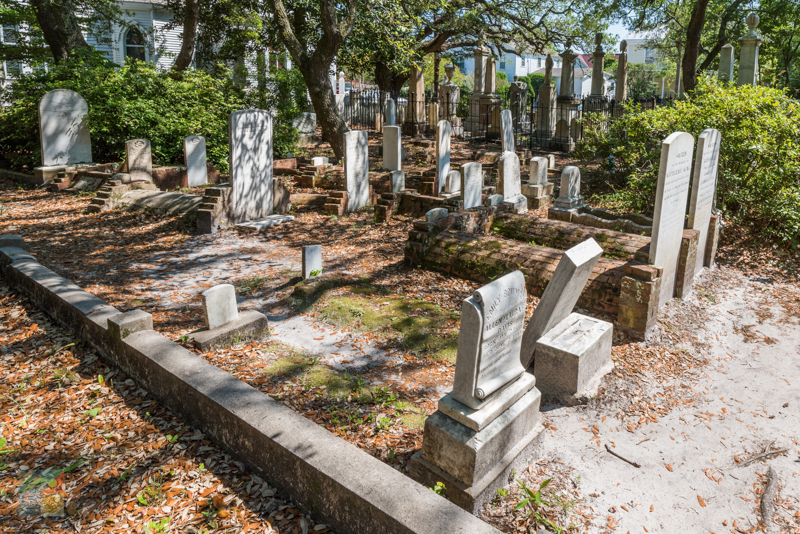 Guided tours of the cemetery, which includes gravesites of note, are available through multiple tour companies, and visitors can also acquire maps of the cemetery’s stones at local visitors centers, at the Beaufort Historical Association / Beaufort Historic Site, or online at http://www.beauforthistoricsite.org/wp-content/uploads/2014/04/BHA-Old-Burying-Ground-Brochure.pdf. The Jacob Henry House is one of the oldest homes in Beaufort, and is a two-story Federal style frame home that’s situated in the heart of the downtown area on 229 Front Street. Known as the original home of Jacob Henry, who was famed for his fight to allow Jewish people to hold a state office in 1809, the 2 ½ story structure is a stunning residence with a two-tier front porch, a foundation of ballast stone, and a crisp white exterior. The home was added to the National Register of Historic Places in 1973. The Gibbs House is a historic residence that’s easy to access for downtown explorers, thanks to a location on 903 Front Street in the heart of the downtown area. Built in 1851, the two-story residence is known as one of the best local examples of a Greek Revival style-dwelling, and has a nearly square layout with two tiers of porches that are guarded by four column-style posts. The home was used by marine researchers and scientists from the John Hopkins University as the “Johns Hopkins Seaside Laboratory,” and is known informally as the first school of marine biology in the United States. The Gibbs House was added to the National Register of Historic Places in 1973. 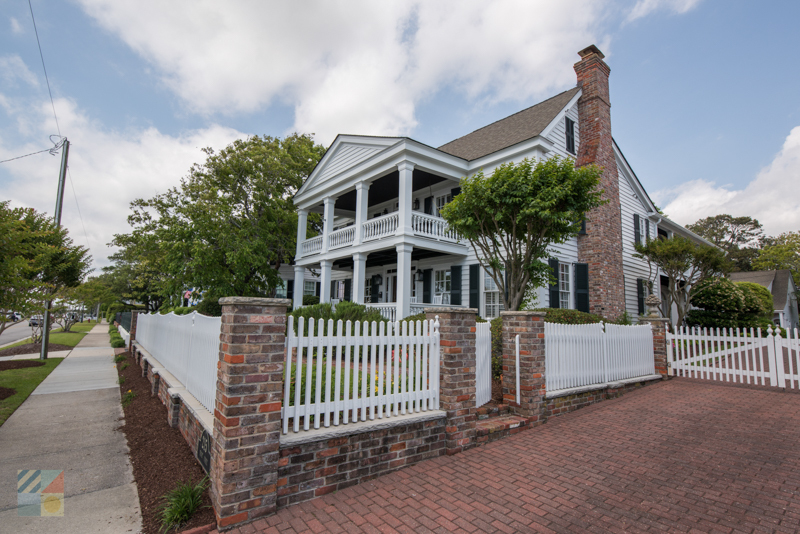 The Cape Lookout Village Historic District is located roughly a 45 minute ferry ride away from the heart of downtown Beaufort, and is a little-explorered historic attraction in the heart of the Cape Lookout National Seashore. Comprising of roughly 20 buildings that were built in the 1800s-1900s when this barrier island was a sparsely populated community, the almost hidden village is a unique ghost town that is worth a look for visitors who adore coastal architecture as well as almost forgotten history. Unique sites within the Cape Lookout Village Historic District include the original 1888 Life Saving Station and Boathouse, the 1907 Lighthouse Keeper's Quarters, the Luther Guthrie House, the Gaskill-Guthrie House, and the Seifert-Davis House (also known as the Coca Cola House). While visitors won’t find any ancient homes or centuries old mansions on the Shackleford Banks or the Rachel Carson Coastal Estuarine Reserve, they will find a living example of the region’s rich history in the form of the famous wild horses, or Banker Ponies. The wild horses on the Shackleford Banks and Cape Lookout National Seashore have been island locals for centuries, and are believed by many historians to be the direct descendants of Spanish mustangs who were tossed ashore during late 1500s’ shipwrecks, and which survived and even thrived in the isolated environment ever since. The wild horses on the neighboring Rachel Carson Coastal Estuarine Reserve are also feral inhabitants, but were put on the island purposely by a Beaufort physician named Luther Fulcher, who also owned horses on the Shackleford Banks, and who let 6 of his horses loose on Carrot Island to graze. (Although some historians believe that feral horses have been roaming the islands of the Rachel Carson Reserve since the 1800s.) 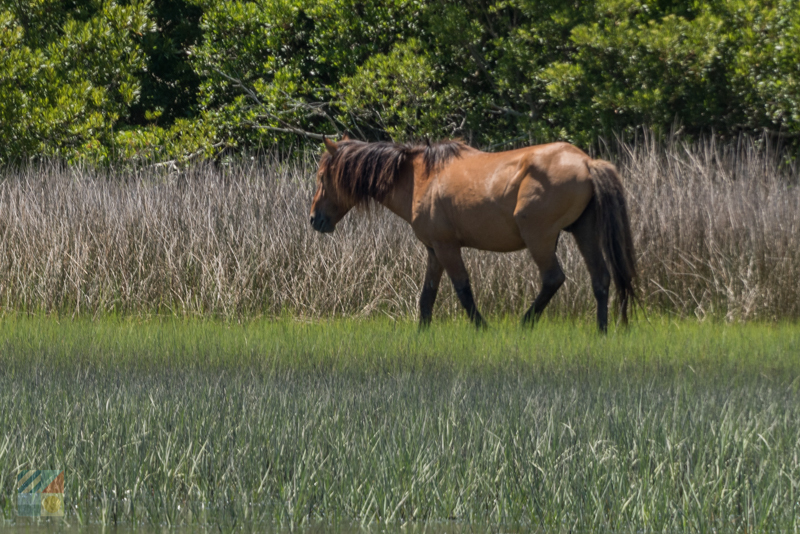 Though their direct roots may remain unknown, the wild horses are nonetheless one of the most popular historical sites around Beaufort, and can be admired and discovered – from a safe distance – via a wild horse tour, a water taxi ride across the sound, or just a well-timed view across Taylor’s Creek. 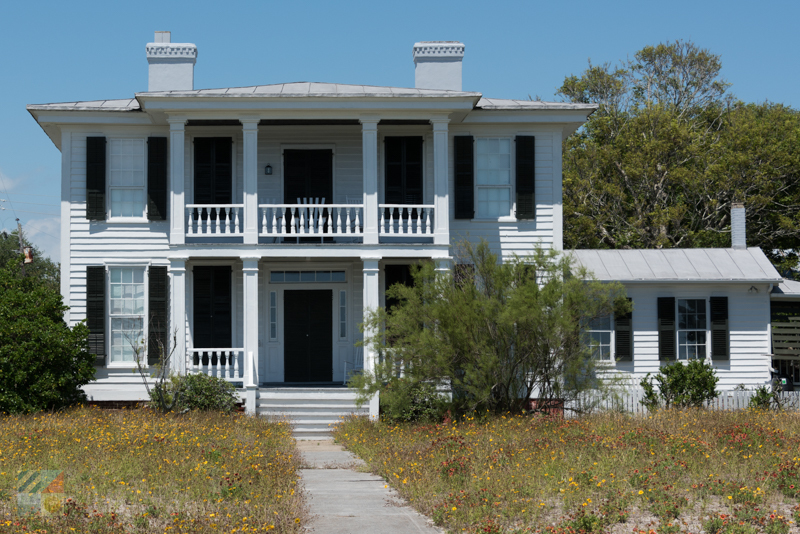 Visitors can experience a different side of regional history with a visit to the neighboring Morehead City Historic District. Though relatively new when compared to Beaufort’s collection of 18th Century structures, this historic district includes 123 buildings which generally date back to the 1900s-1930s, and which include prime examples of Colonial Revival and Queen Anne style architecture. Structures of note within the site, (which is concentrated in the picturesque downtown region), include the 1857 Dudley House, the 1923 Franklin Memorial Methodist Church, the 1904 First Freewill Baptist Church, and the original Morehead City Public School (also known as the Charles S. Wallace Graded School), which was built in 1930. 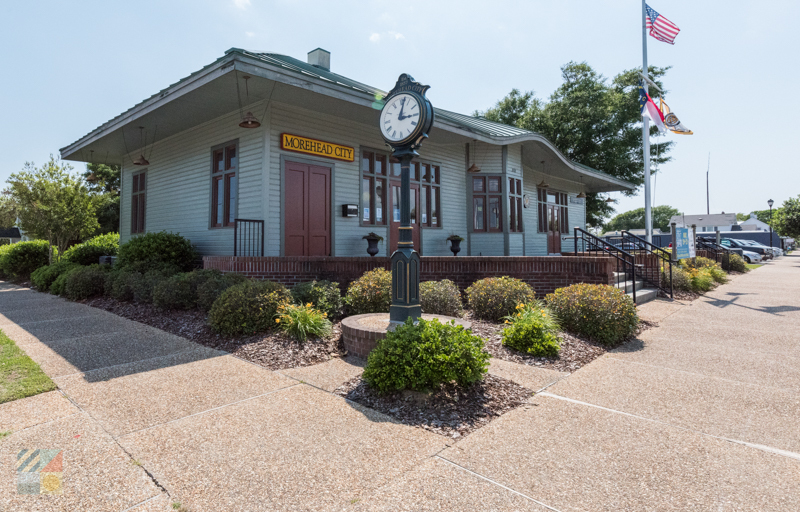 The region was added to the national Register of Historic Places in 2003, and can be easily explored via a simple stroll or drive around the community. The Fort Macon State Park is the oldest state park in North Carolina, (having been established in 1936), and it’s also the home of the surprisingly intact Fort Macon – an 1820s fort that was built in response to both pirate invasions and major American conflicts including the War of 1812 and the Revolutionary War. Though it served a role in the US Civil War as first a Confederate stronghold and then a Union one in 1862, the fort has since been fully restored to give visitors a clearer portrait of what military life in the 19th century encompassed. With a network of brick and stone perimeter walls and interior casements, the fort is a remarkable example of military history that has remained perfectly preserved. 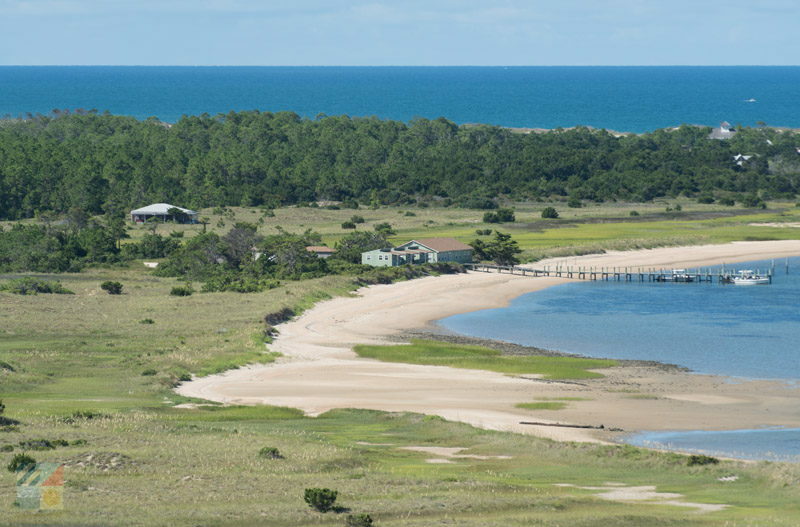 Tours are regularly available of the fort, and the outlying beaches within the state park are renowned as some as the prettiest shorelines in the region due to lack of development and a scenic locale on the edge of Beaufort Inlet. Visitors who want to acquire in-depth information, pamphlets, or even just souvenirs and gifts will find a nice array of stops within Beaufort to learn much, much more. Whether you’re a detailed researcher or just a curious newcomer, make sure these destinations are on your list to start an expedition into Beaufort’s historical foundation. A great first stop for uncovering the history of this coastal community awaits at The Beaufort Historic Site’s “Home Turf,” which is also known as the Robert W. & Elva Faison Safrit Historical Center. Located on Turner Street, which is one of the chic downtown routes that veer away from Front Street, this destination has a wealth of info on area tours, historic residences and gravesites within the Old Burying Ground, and special events that cater to historical interests of all varieties. From this destination, visitors can sign up for area-wide tours, pick up info on the local points of interest, or peruse an on-site gift shop that’s stocked with historically influenced treasures. From plotting a walking tour through Beaufort to simply garnering a better understanding of the town, there’s plenty to discover when the headquarters of the Beaufort Historic Site serves as a launching point. 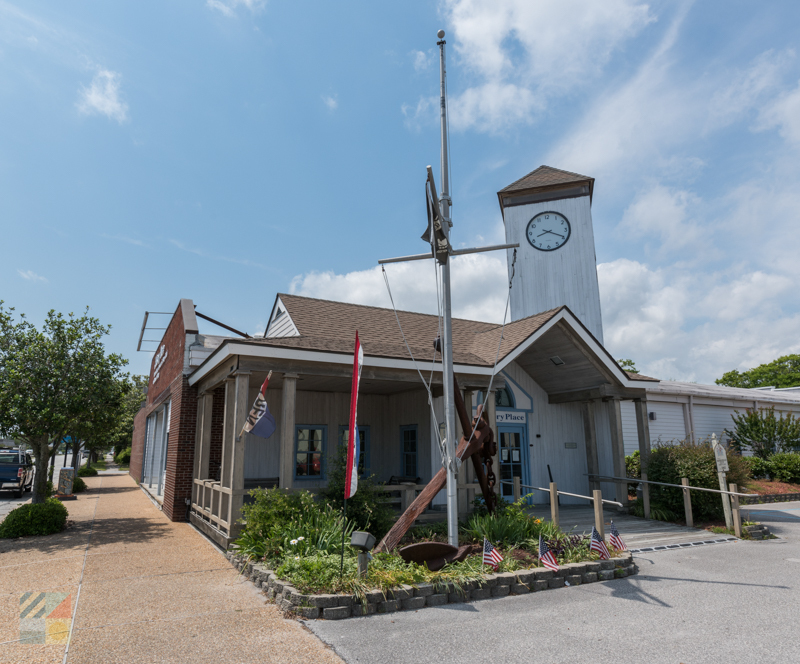 The NC Maritime Museum is filled with interactive displays and unique artifacts that pay homage to Beaufort’s more than 300 years of history. Patrons can admire relics from the Civil War, the early boat builders, and the artifacts lifted from Blackbeard’s vessel the Queen Anne’s Revenge, as well as sign up for special classes and / or lectures from visiting historians. 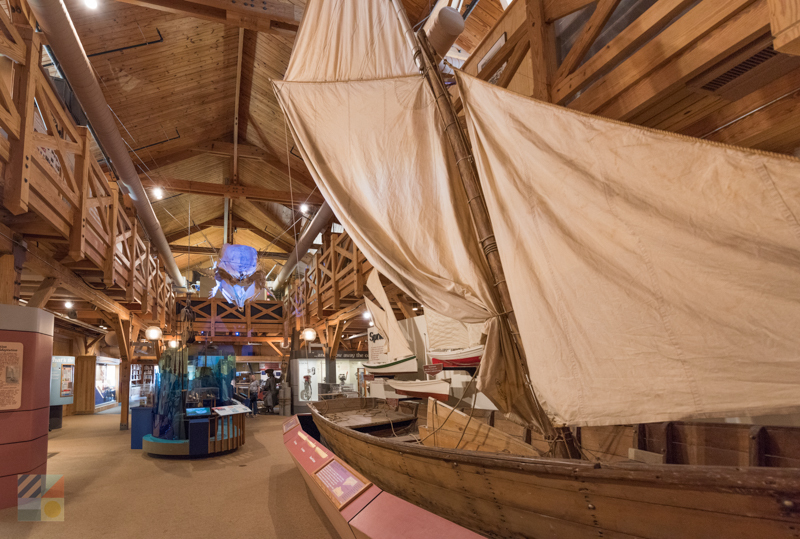 Open year round, with multiple rooms of treasures that span the centuries, the NC Maritime Museum sheds new light on Beaufort’s history in an altogether fun and engaging way that will appeal to patrons of all ages. Best of all, the site is exceptionally easy to reach for downtown explorers, thanks to a locale in the heart of the action along Front Street. 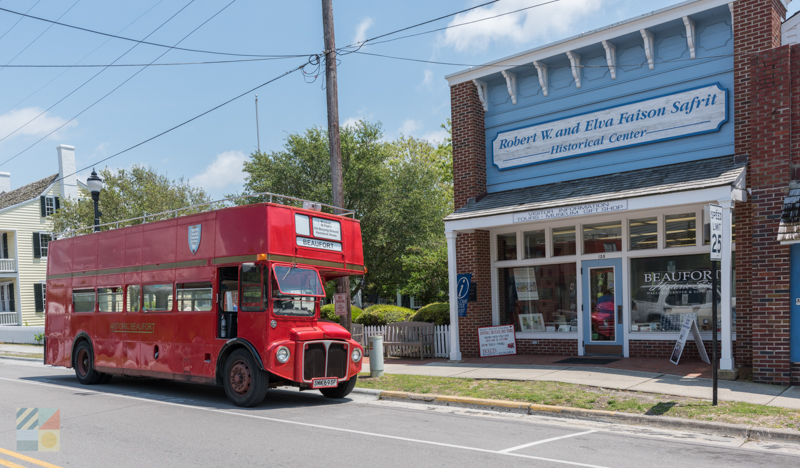 Take an easy drive over to neighboring Morehead City to peruse one of the most extensive collections of historical materials in Carteret County. The History Place is stocked with memorabilia, period furnishings and apparel, first-hand accounts, photographs, media, and other relics that span the centuries, and which paint a complete portrait of the Crystal Coast region from the ground up. A popular destination for researchers and historians, The History Place can also cater to everyday visitors through a series of on-site and ever changing historical exhibits, as well as a charming tea room and adjacent gift shop. 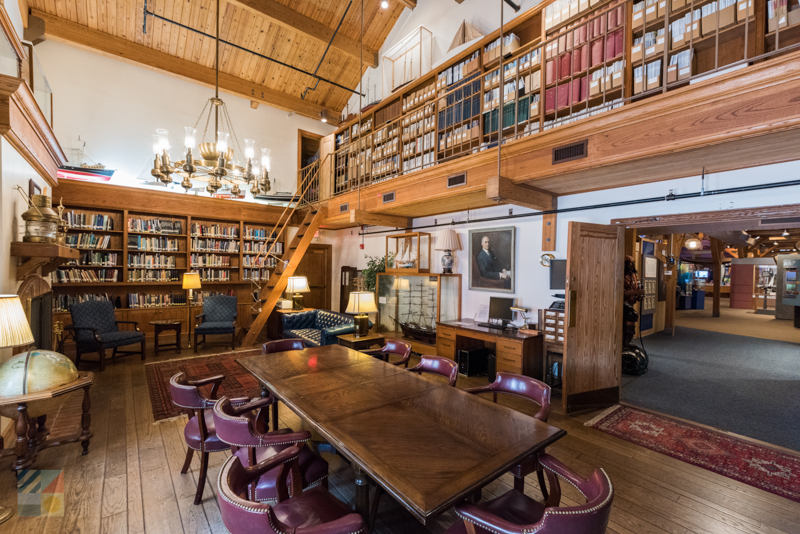 With unique stories that borrow from first-hand accounts, and which highlight some of the most fascinating chapters in local history, The History Place is an all-encompassing destination to learn everything there is to know about Beaufort’s roots. 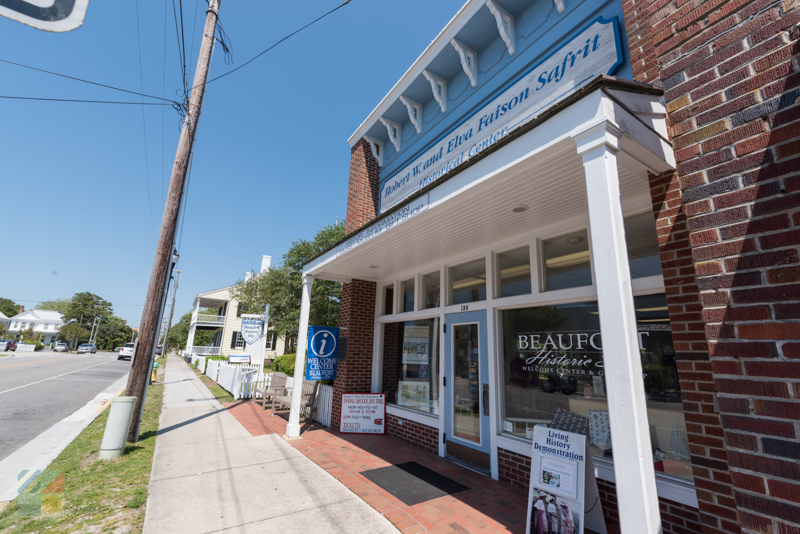 Beaufort is stocked with book stores and art galleries that effortlessly bring the centuries of maritime and nautical culture to vibrant life. Pop into a local gallery to see how regional artists soak up and translate this heritage, or swing by a book store in the downtown area to pick up a book or two on the region’s historical stories. 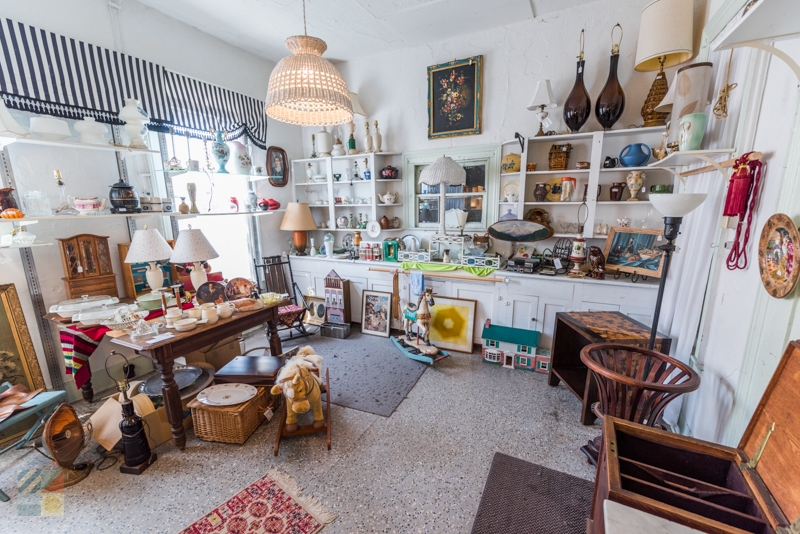 In addition, the neighboring town of Morehead City is renowned as a destination for antique fans, which makes it an enticing spot to pick up second-hand treasures, or peruse the old wares that locals used regularly decades if not hundreds of years ago. Beaufort is brimming with history, and visitors will find it’s easy to uncover the layers of stories with a stop at a local museum, a unique water or walking tour, or just a simple walk about town. From the historic residences of Front Street to the unique museums that bring these stories to life, a historical exploration of Beaufort comes complimentary with every coastal vacation.